Where can I get a replacement remote for an old garage door opener? I have two different garage door openers that are very old (I’m guessing they’re both pre-1985). One is Sears brand and the other is Pro-Door brand. From inside the garage, they both have doorbell-type buttons that work just fine, but I’m trying to find remotes that will work with them. I tried to buy a universal remote and set the dip-switches up correctly, but it didn’t work (also, there is no “learn” button on the openers). Does anyone have any recommendations on what type of remote would work and where I could find it? 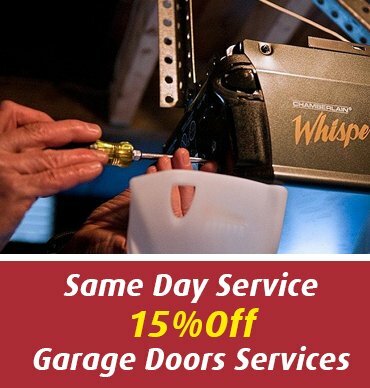 Admin: For the Sears opener try a local Liftmaster dealer. (Both are made by Chamberlain) You’ll need to let them know the #’s and how many dip switches are on your opener. However it is old by opener standards and may not be supported by the mfg any longer. There’s also a chance you may have an off brand radio receiver attached to your opener, if so, note the brand and any info. This was common practice in the days before remotes came with the opener. Garage door openers without a remote? i am leasing a house with an automatic garage door, but the previous tenant didn’t leave the remotes. how do i get replacements? what about security from them coming back? Admin: If the last tenants took the garage door remotes they might also have keys to the house. Talk to the landlord and let him know your concerns and your wish to have the door locks changed and new remotes. If he/she shows no sense of urgency then tell him you are going to get them and show the receipts when next months rent is due as an offset. All garage door openers have different frequencies you can change yours by flipping a few small switches on the opener box and matching it to the remote. Click the link below if you need more assistance.